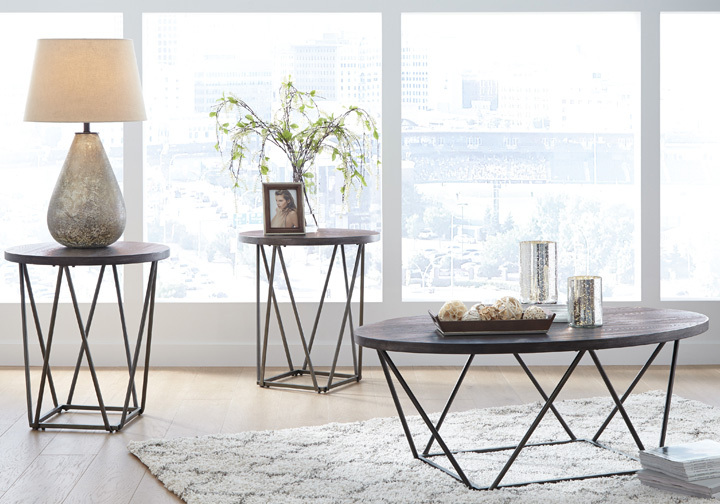 Cross over to contemporary style with the smooth architectural look of the Neimhurst 3-piece occasional table set. Simple, yet unique in its own way, this set’s tables have angular bases that support elm veneer tops full of textural beauty. The oval cocktail table in particular has a wow factor found with its expanded bridge truss base. 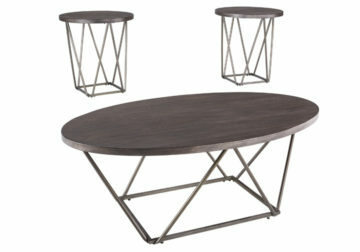 This set will add an amazing modern aesthetic to any living area. Neimhurst Dark Brown Occasional Series by Ashley. Made with Elm veneers in a textural grayish brown finish. Dark metallic bridge truss bases have thin-line aesthetic for modern look.